Enchanting and majestic, Abruzzo is Italy’s best-kept secret. Step back in time and discover truly traditional, non-commercial Italian cooking in the foothills of the Apennine mountains. Surrounded by hills and valleys as rugged yet peaceful as the people living in them, you will learn to cook in the timeless tradition so deeply embedded into the hearts of the locals. It is a truly unique experience working with ingredients so authentic and flavours so delicately preserved. Come and join us to experience everyday extravaganza in the kitchen. This area of Italy is home to true craftsmen and women who continue using methods and skills passed on through the generations to produce the foods they eat every day. Families still make their own olive oil, wine, sausages, pasta and more. This is one of the few places left in the world where handicraft is not an exception to the rule. Abruzzo wines will amaze you with their body, Abruzzo food will surprise you with its bold flavours, Abruzzo extra virgin olive oil will impress you for its sweetness and smoothness. This region will also astonish you for its hospitality, the old fashioned artisans products and much more. Abruzzo has the largest natural park in Europe. The region is green and untouched. It’s a real shame that this region is not famous or it does not get the credit but we also like the non touristic feel that our guests get when they come to visit us. When people come to Abruzzo, feel that they have discovered a gem. They are so surprised about the beauty of the villages and the goodness of the food. After two days that they are here, a common phrase for them to say is : “Now this, is real Italy!”. That is off course after spending a couple of days in Rome, Naples or Florence. 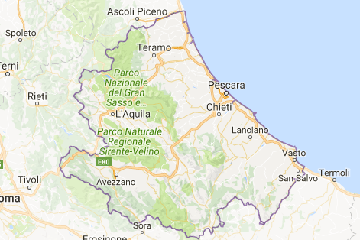 So, in a way, we like the fact that Abruzzo is not popular, but we do not like that is so unpopular. Our goals is to show people how great Abruzzo is and maybe they can tell others about it. In our opinion, the best way to discover a region is through food. That is why we created the Abruzzo Cibus Culinary Tours. Cibus in latin means food. We enjoy talking about behaviours of Abruzzo people and their stories while we prepare a succulent pasta sauce, maybe paired with a good Montepulciano wine. After the leisure lunch, we like to take our friends out and show them the most interesting spots in the area. All in a comfortable way, going at a nice pace, without rushing. After all, it is a vacation. We like to underline the concept that we are not a tour operator or a travel agency. It’s just like a big family. Abruzzo cibus offers free airport pick up, when available. Abruzzo is located in the southern Adriatic and boasts that 30% of its land is protected by environmental legislation. Explore the Abruzzo region with an interactive map and discover its precious traditions. 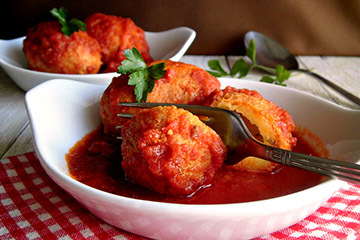 The Abruzzo cuisine is rich of fantastic flavours and is originally from the traditions of both pastoral and mountainous areas of the region. Check our blog posts to find your favourite recipes! Italian cheeses go far further than just mozzarella and Parmesan. 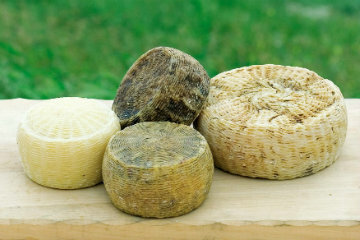 Caciocavallo, provolone, caciotta, pecorino: here’s a short guide to the finest cheeses made in the Abruzzi region! 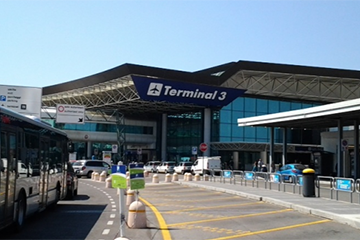 Abruzzo International Airport is located in Pescara and is served by several of the low cost airlines operating from London, Frankfurt and Barcelona. But you can get to Abruzzo also by car, train or bus: here’s how!